Joel and I arrived back in Kathmandu last night (Wednesday, Feb. 27) after spending the past several days traveling, visiting, and teaching in a far west district of the Himalayan Church of the Lutheran Confession of Nepal. 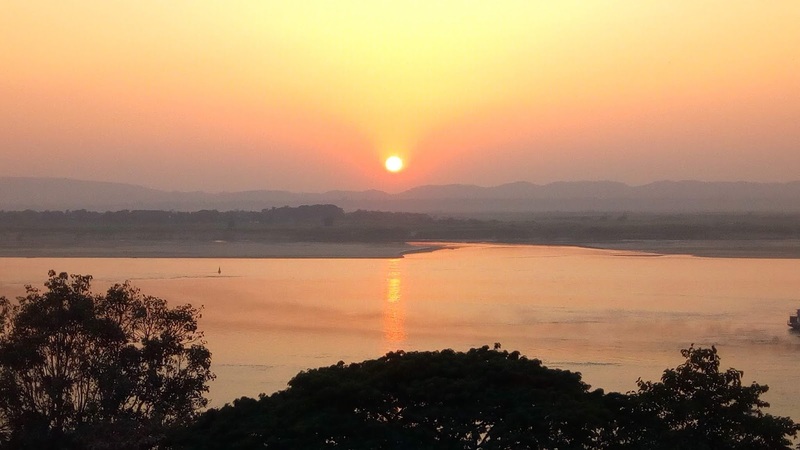 We've got relatively good WiFi access in our hotel and a few hours before we leave for the airport to catch our 1:00 pm flight from Kathmandu to Dhaka, Bangladesh, so I thought I would try to get a few thoughts and pictures on the blog before we head out. We spent more hours riding in the car over winding, bumpy, under-construction, washed-out, road than I care to calculate. Raju did all the driving and his father joined us. They make this trip every few months for pastoral training classes with ten men who are serving congregations in the surrounding hills. These men have been in contact with the HCLCN for a few years but just started formal classes about a year ago with a grant from the CLC-Mission Development Fund. They will study for another couple of years until they are formally received into fellowship. This district happens to be one of the areas of Nepal that has received a lot of Christian persecution so we kept a pretty low profile while we were there. For this reason, I am purposefully leaving out the names of the towns and pastors for their protection. On our way to the West, we also spent a day with students and pastors in the Chitwan district. This area of Nepal is where the majority of the HCLCN congregations are located. We conducted pastoral training on Thursday and all the pastors traveled back to their congregations up in the Himalayan foothills on Friday so they would be home for worship services on Saturday (the only weekend day in Nepal). So, we had Friday as a down day to catch our breath and do a little sight-seeing. There is a big national park in the Chitwan District where lots of tourists come to visit. So we had a good time riding elephants for about an hour and a half. We were fortunate to see a pair of Rhinos, which is a rare. We also got some good coffee, good food, good rest, and got to see elephants walking by our hotel throughout the day. I know that I repeat these thoughts often in this blog, but I can't seem to find the describe the appreciation I have for the joy of the Lord and the privilege I He has given to be able to spend this time working alongside these faithful Christians. Their dedication to our Savior, His Kingdom, and the work of proclaiming the truth of His saving word is overwhelming. They do it with joy, commitment, dedication, selflessness, and an obvious love for the Lord, His Word, and the souls for whom our Savior died. I only wish that I had more time to spend! Later today we will be met by Pastor Monotosh Banjaree who leads the Bangladesh Lutheran Church Mission. We will spend the next few days visiting a few congregations and schools. We will also spend a day with the other leaders of this Confessional Lutheran Church body to discuss our doctrinal positions as we take this first and important step toward establishing a God-pleasing fellowship based upon unity of doctrine. It's exciting and a bit overwhelming and humbling all at the same time to be involved with this kind of Kingdom work. Your prayers are much appreciated! Also, please join me in giving thanks for my incredible wife who loves the Lord, our family, and (incredibly enough) me. Thank our Savior for because she is so supportive of me and this work that the Lord has called me to as she so willingly keeps up with all the necessities of family life back home. 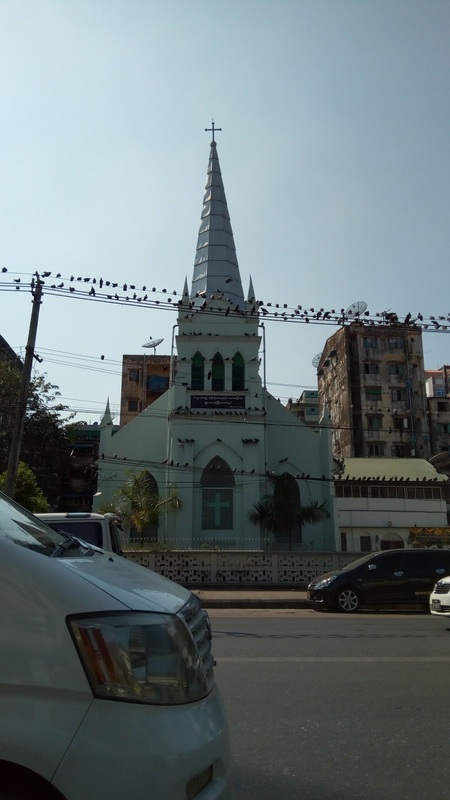 I've spent the last two weeks in Myanmar working with the Church of the Lutheran Confession of Myanmar (Kalaymyo) and the National Lutheran Church of Myanmar (Yangon). This evening I will fly from Yangon to Kathmandu, Nepal via Kuala Lampur. I'm looking forward to meeting up with Joel Krafft (CLC Board of Missions Chairman) in Nepal tomorrow afternoon. We will have a quick night in Kathmandu and then up at 4:00 am for an early departure on Thursday so we can get to Chitwan in time for the pastoral conference. Friday we will catch our breath and Saturday is worship. Then we will travel the long road to the Dang district for a two day seminar with ten men who training to be pastors. Then it's back to Kathmandu to catch a flight to Bangladesh to meet with pastors of the Bangladesh Lutheran Church Mission. Then back to Kathmandu to catch our flight back home! 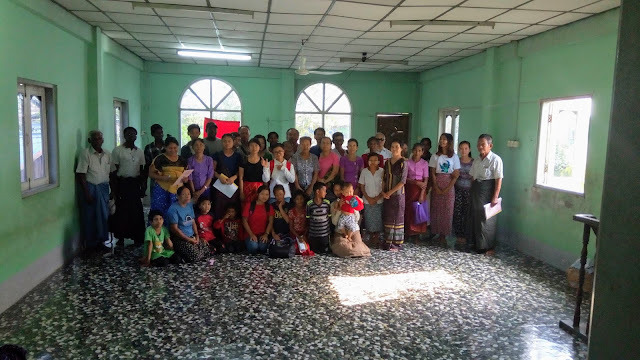 In Kalaymyo we held a two day (Friday and Saturday) Bible Training Seminar at the church headquarters with teaching from 8:30 to 3:30 pm each day and worship each evening. And we gathered for morning and evening Worship on Sunday. We had over one hundred in attendance. A little less than half those in attendance were from the local congregation. All the others in attendance were pastors, evangelists, elders, and members from some of the fifty-four rural congregations in Chin State. They traveled by bus, motorbike, bicycle, and in back of pick-up-truck taxis to attend. In Yangon we followed basically the same schedule with forty in attendance. The topic in both places was a study of the Apostolic Creed as an outline of the foundational truths of our Salvation. We broke the creed into twelve parts and discussed why each was important and where it is taught in Scripture and the comfort and encouragement these truths provide on a daily basis. For some it was a good review of the "basics" of our faith. For others, like the elderly Hindu man and the two Buddhists who attended, this was probably the first time these truths had been explained to them. What a privilege to bring the Gospel to so many! At both Kalaymyo and Yangon we also spent a great deal of time discussing the work that the Lord has given us to do together. We explored opportunities and plans to train more men for the Gospel ministry. 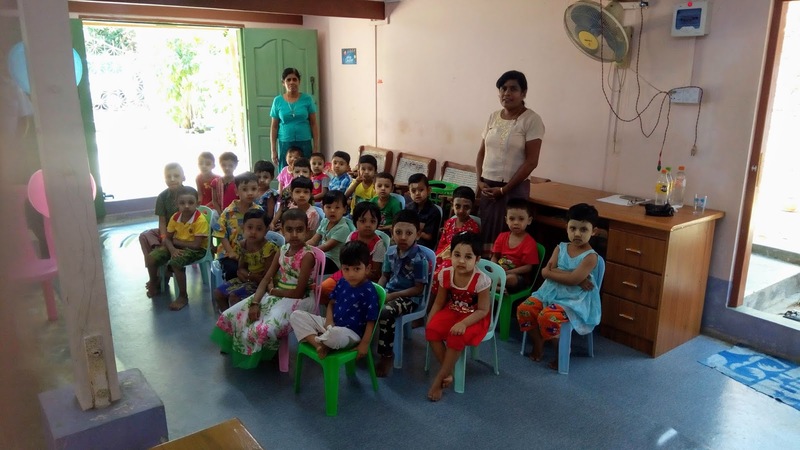 In Yangon, there are several orphanages. Some are big, with more one hundred children and other are quite small with just ten to fifteen children. We visited three orphanages where Pastor Charles has had the opportunity to teach the children about their Savior. These orphanages are run by husband and wife. Pastor Charles is excited that two of the men involved with these orphanages would like to receive training so they can start congregations in their neighborhoods. 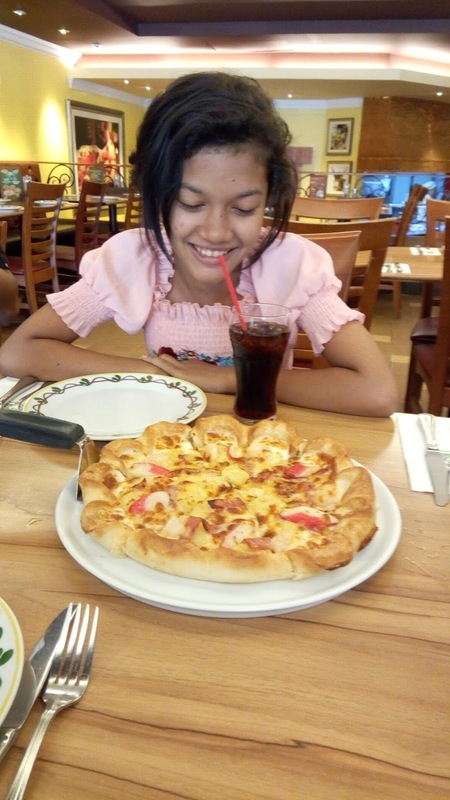 Pastor Charles' 11 year old daughter was quite pleased to take a break from rice...she loves pizza! 1. Missionary to India – Unfortunately, the India government canceled our missionary’s visa without notification. He was detained, denied entry into the country, and was sent back to the U.S. the next day. He has now returned safely to the U.S. The Board of Missions recently met and decided to re-assign him as a Resident Missionary to West Africa. He will be be based in Lomé, Togo for the majority of the year and will work with our brethren in Togo, Benin, Ghana, Nigeria and the Democratic Republic of Congo. Give thanks to the Lord for the opportunities He has provided to assist in training men to be faithful preachers and teachers of His saving word in India and so many other places around the world. Give thanks to the Lord for keeping our missionary safe during this ordeal. Pray that the Lord will give wisdom and clear direction to the Board of Missions as they consider other opportunities for the CLC to continue to assist out sister church bodies (CLCI and BELC) in India in the work of training pastors, teachers, and evangelists to spread the Gospel in India where the darkness of idol worship is so prevalent. Pray also for our brothers and sisters in Christ in India that the Lord will give them strength, determination, zeal, love, and courage and that they will not be discouraged by Satan’s attempts to silence the Gospel message! 2. Visiting Missionary – Missionary Ohlmann has spent the last several weeks working with the leaders of the CLC-Tanzania, CLC-Zambia, and the CCLC in D.R. Congo. On Tuesday, February 5th he arrived in Yangon, Myanmar where he spent two weeks working with the National Lutheran Church of Myanmar in Yangon and the CLC-Myanmar in Kalyamyo, Chin State. 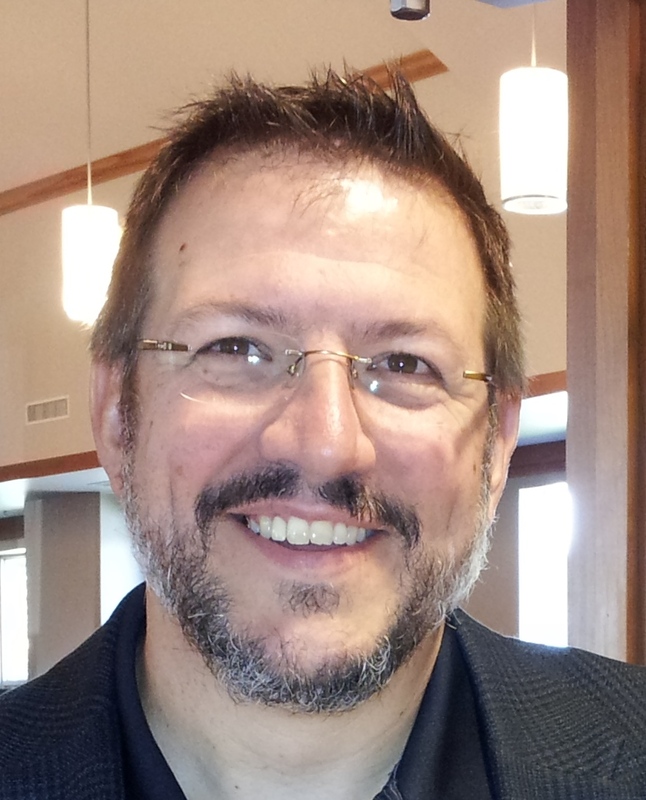 On February 19th, he will travel to Kathmandu, Nepal where he will meet up with CLC Board of Missions chairman Joel Krafft, Together, they will work with the Himalayan Church of the Lutheran Confession of Nepal for a couple of weeks. They will then fly to Bangladesh to conduct a first-time face to face meeting with leaders of the Bangladesh Lutheran Mission Church. By the time Missionary Ohlmann returns home in mid-March, he will have been gone for nearly nine weeks. Pray for safe and uneventful travel and for his family while he is away. 3. 2019 CLC Mission Helper Trip – Due to the increased scrutiny and hostility towards Christians we and our Indian brethren have had in the last several months, the Board of Missions made the decision to cancel the Mission Helper Trip to India and send them to Tanzania and Zambia in East Africa instead. This was done out of concern for the safety of the Mission Helpers, but also concern for our the welfare of our Indian brethren who may experience increased hostility because of the presence of so many foreigners visiting their congregations and teaching the Gospel in so many villages. The Board of Missions is working on a plan to send two CLC pastors to India for a three-week visitation this summer. Pray that the Lord will bless these plans to work with and assist our brothers and sisters in Christ to proclaim the Good News of forgiveness, salvation, and eternal life through our Savior Jesus Christ! 4. Tanzania – Missionary Ohlmann recently spent two weeks in Tanzania in early January. We spend the time working with the leaders and pastors of the CLC-Tanzania. He and two leaders of the CLC-TZ traveled to the city of Mwanza near the Burundi border in the north-west part of Tanzania to meet with three independent pastors who have been in correspondence with the CLC-TZ for the past few years. Two days of doctrinal discussions and pastoral training took place along with visits to the two of the three congregations. The president of the CLC-TZ also has close relatives that live in the area who are also quite excited about the possibility of establishing faithful Lutheran congregations in the area. Leaders from the CLC-TZ will be making another visit soon for more doctrinal discussions. Pray that the Lord will bless this effort to establish fellowship with these three independent congregations and pastors and that this will be another opportunity to spread the Gospel in near-by Burundi where there are more independent pastors and congregations who have contacted the CLC-TZ. 5. 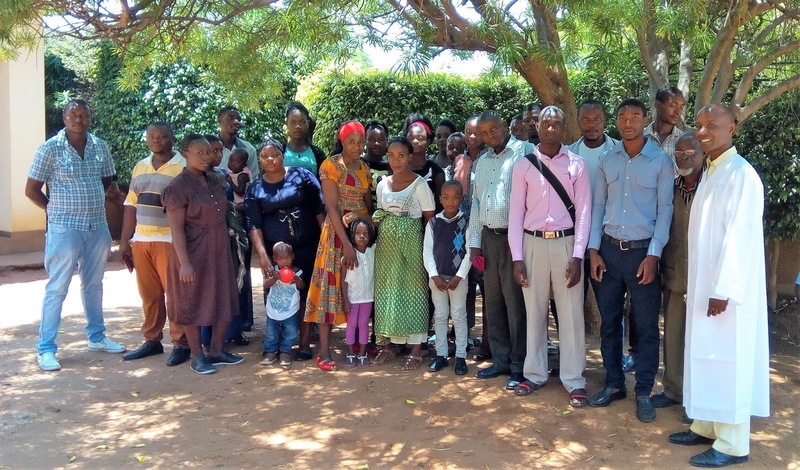 The Wartburg Lutheran Theological Seminary of Tanzania – While Missionary Ohlmann was in Tanzania, three days of meetings were held with the leaders of the CLC-TZ and the teaching staff for the newly established seminary. Much was accomplished and final plans for class schedules, teaching assignments, student transportation, room and board, etc. were finalized. Classes are scheduled to begin with eight students (2 from each district) on February 25th! Missionary Ohlmann plans to return to Tanzania in late August to spend a week reviewing with both students and teachers following the first two semesters of classroom instruction. Pray for both students and teachers that the Lord will bless this effort and that He will provide all that is necessary for this important work to go forward. 6. Zambia – While Missionary Ohlmann was in Zambia for two weeks he had an opportunity to review the newly adopted constitution of the Confessional Lutheran Church of Zambia and to see first hand the government registration documents and provisional certificates. This is a big step for the three districts of the CLC-Zambia. This will allow them to start new preaching stations and eventually purchase property in the name of the church. They are also making plans to start a seminary in the next few years and this registration will allow them to do so without the interference of trouble makers. They are currently looking to purchase a building in Livingstone area (where there are not other Lutheran congregations) to serve as a residence, office, church, Bible School, and seminary. Pray that the Lord will give them guidance and direction in these plans and that He will bless their every effort to proclaim the truth of His saving word. 7. Zambia – Say a prayer of thanksgiving to the Lord for the opportunity that the Lord has given to the CLC-Zambia to purchase a building for about one-third of the going cost. They have been looking for a building to purchase for the past couple of years and there was nothing available within a price-range that they could afford with a CLC-Mission Development Fund grant. Their patience paid off and the Lord has provided! 8. Democratic Republic of Congo (DRC) – Due to the recent presidential elections (the first free and open elections since their independence in 1960), current political climate, refugee crisis, and on-going armed conflict, it has been a few years since our CLC missionaries have been able to acquire the necessary visa to visit DRC. Because Missionary Ohlmann was denied an entry visa, leaders of the CCLC-D.R. Congo traveled over the border into Zambia to meet with Missionary Ohlmann and to facilitate the pastoral training seminars among the CLC-Zambia congregations in this northern district of Zambia known as the Copperbelt Province. Pastor Yumba gave extensive reports concerning the pastoral students he has been training for the past two years. These students have been attending classes five days a week for the past two years in a temporary building while they wait for the completion of the new building to be completed. The seminary is called Holy Trinity Lutheran Seminary. Over ten acres of land has been acquired for the seminary. Through an MDF grant from the CLC construction continues on three buildings that will serve as classrooms/chapel, dormitory, and a library/office. There is also plenty of room on the property for farming where the students will be responsible to raise food as a portion of their school fees. Pray that the Lord will bless these men and those who are teaching them in their last year of classroom instruction and during their year-long internship. They are all scheduled to graduate and be ordained in October of 2020. 9. 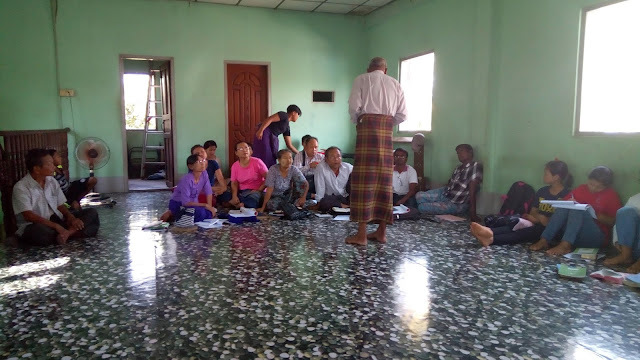 Myanmar – Seminars in Kalaymyo and Yangon have been conducted by Missionary Ohlmann who has spent the past two weeks working with the leaders of the CLC-Myanmar in Kalaymyo and the National Lutheran Church of Myanmar in Yangon. Pray that the Lord will bless the word that has been taught and that those in attendance were strengthened in their faith and that those who heard the truth for the first time will be led by the Holy Spirit to repent of their and in saving faith, rejoice in the forgiveness of sins, salvation, and eternal life through Jesus Christ. 10. Nepal – Translation of Luther’s Large Catechism into Nepalese has recently been completed and five-hundred copies will be printed and ready for distribution to the pastors of the HCLC-Nepal in February. The pastors will then begin leading congregations and preaching stations through a study this book. This project was made possible through a grant from the CLC Mission Development Fund (MDF). Thank the Lord for providing the gifts, abilities, and financial resources to complete this project. Pray that the Lord will bless the study of His word and strengthen the faith of those who are given the opportunity to study this book together with their pastor. 11. Nepal – CLC Board of Missions Chairman, Joel Krafft will join Missionary Ohlmann in Nepal in mid-February. Together they will visit several congregations and meet with the pastors and students of the Himalayan Church of the Lutheran Confession of Nepal for a training seminar. While in Nepal they will also have the opportunity to travel to the recently established Dang district to meet with the pastors and students who are training to be faithful preachers and teachers of God’s saving word. Pray for safe travels and success in the proclamation of God’s saving word. 12. Bangladesh – After more than three years of extensive Online Theological Studies correspondence courses, Board of Missions chairman Joel Krafft and Missionary Ohlmann will visit Bangladesh for our first face to face meetings with the president and leaders of the Bangladesh Lutheran Church Mission (BLCM). Pray that the Lord will bless these meetings as we work toward establishing agreement in doctrine. 13. Nigeria – Pray for this nation as they go to the polls in what many have described as the most important presidential election since they gained their independence from Great Britain in 1960. There are also several regional elections. There has been much violence, and many protests, intimidation, and deaths leading up to the elections that were scheduled for February 16. The elections have now been postponed on the very day that people were headed to the polls. 14. Nigeria – Our brothers and sisters in Christ of the Nigeria-CLC are facing a variety of challenges as they work together to provide both spiritual and bodily care for orphaned children. They are currently working to develop guidelines and policies that are in compliance with the regulations of the Nigeria Ministry of Women and Children’s Welfare. If and when they are able to re-open the NCLC Children’s Home the CLC Kinship Committee will be involved in providing support for these children. Please pray that the Lord will provide the NCLC the wisdom, compassion, and all that is needed to carry out this important work of love, care, and compassion.